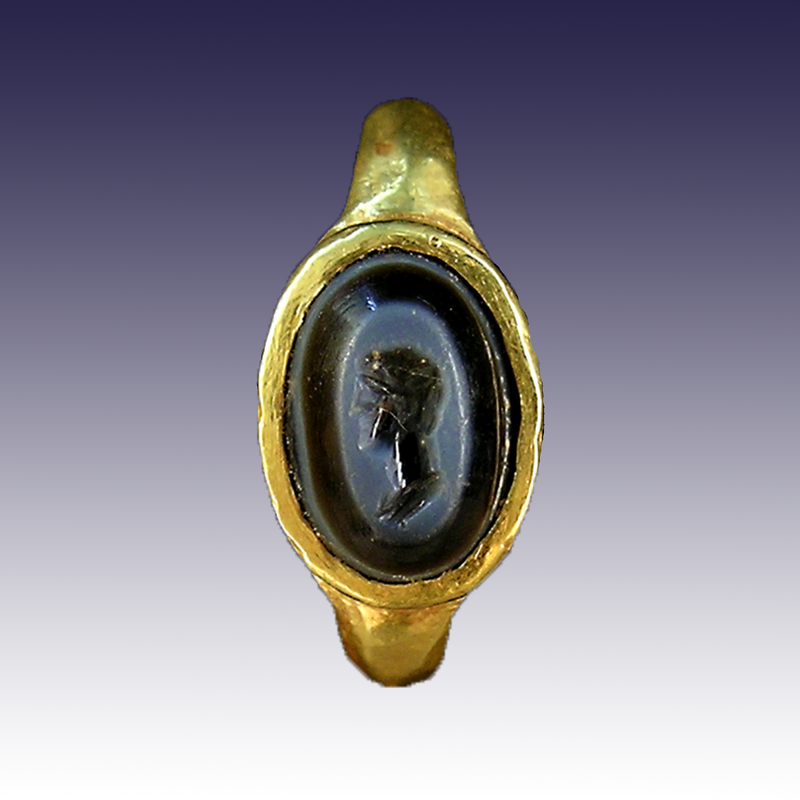 Gold finger ring with dark blue nicolo intaglio (flat-banded, blue agate). 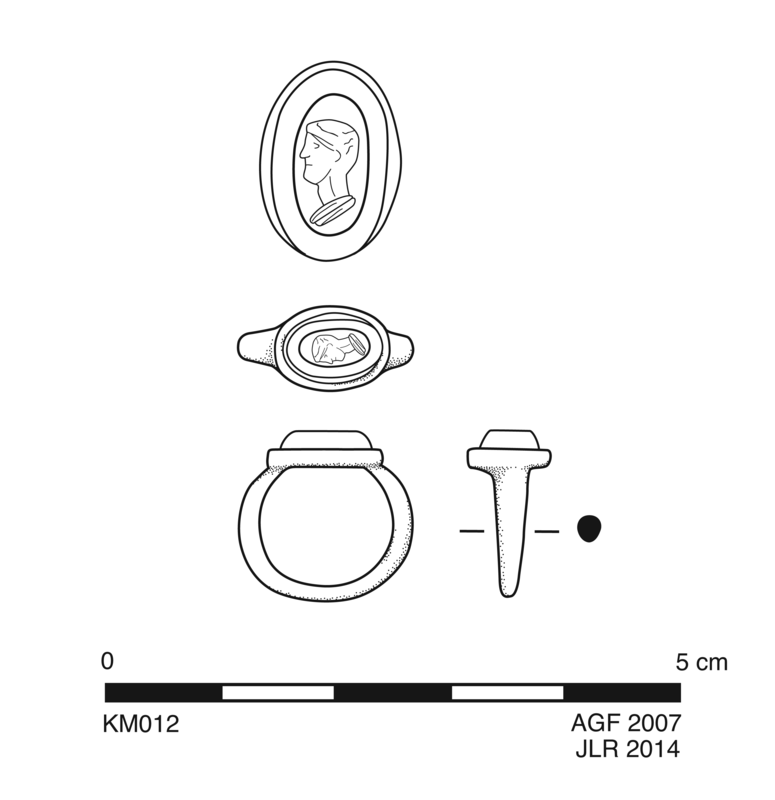 Oval gem with flat, bevelled upper surface (Boardman type F2). 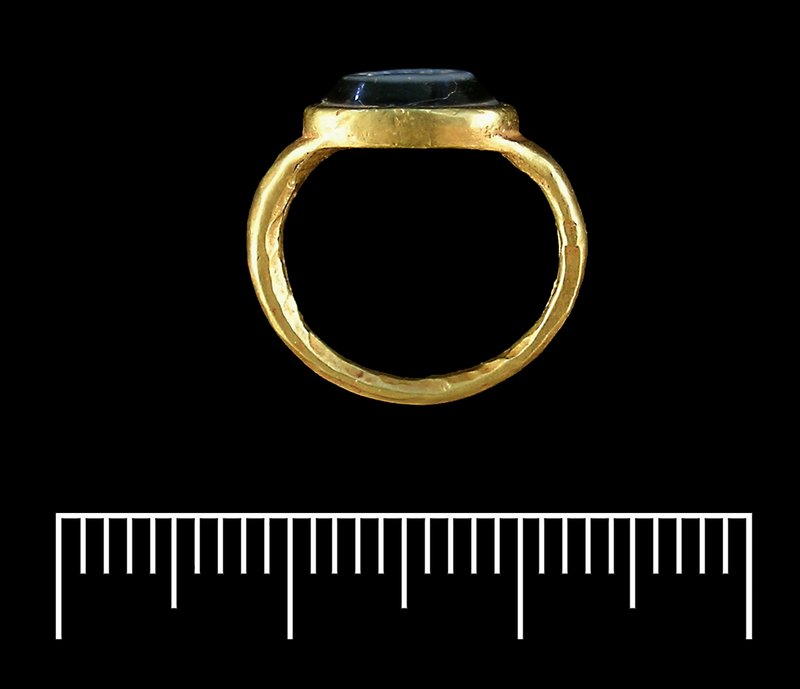 Gem shows light blue top layer and blackish blue interior; narrow band of light blue visible at bezel. Intaglio shows bust of a man with wavey(?) short hair tied by fillet in profile facing left, incised through upper light blue layer of stone into blackish blue underlayer. The ring has a narrow band with convex exterior and flat interior widening toward bezel. Intact. Excellent condition but slight denting around rim.